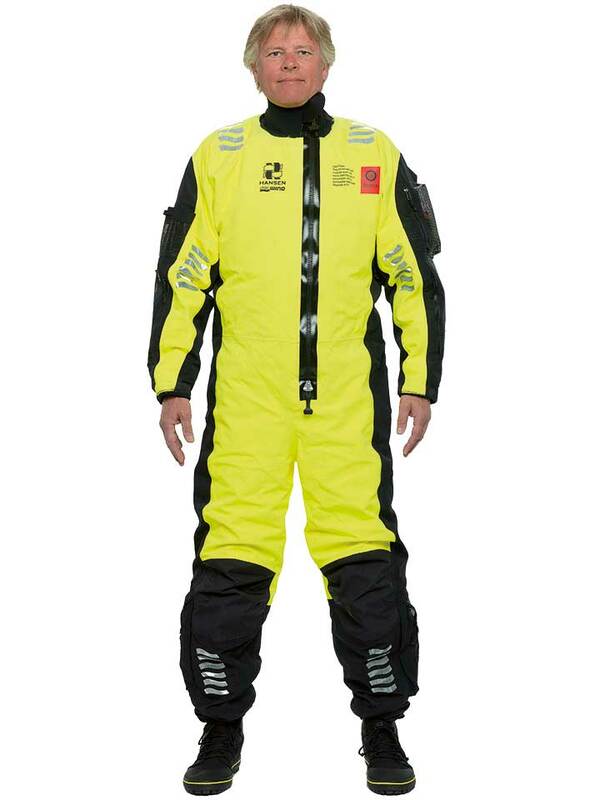 Comfortable and lightweight Constant Wear Suit for tough and demanding environments. Designed with focus on ergonomics, weight and comfort – without compromise. Basic Helicopter transportation suit, ETSO 2C503, SOLAS, LSA code 2.3 & ISO 15027-1 Class B. Suit with zip in neck seal. Socks. With thermal lining, lifting strap, buddy line with floating hook, pit zips & attached hood in back pocket. Gloves in sleeve pockets. Detachable thermal lining.